TDS – What is it good for? Total Dissolved Solids is something most pool operators are aware of but its value as a water test parameter isn’t always understood. Unfortunately a lot of literature on it is quite dated and has roots in bad science & biased marketing. Some literature in the 1980s resulted from some falsified information trying to blame TDS on dramatically reduced chlorine disinfection capacity in water treated with stabilized chlorine. There isn’t any research that backs claims of TDS having any negative effect on water quality. TDS is generally measured with a conductivity meter and calibrated to a ‘442’ standard that assumes a constant ratio of common ‘salts’ dissolved in water. The pure conductivity measurement unit is microsiemens (μS) and that gets ‘calibrated’ to a parts per million (ppm) value that is a more applicable unit for pool operations. TDS increases overtime as ‘salts’ are added to the water (sodium bicarbonate, sodium bisulphate, sodium hydroxide, sodium hypochlorite or, in the case of a pool running salt water chlorinators; sodium chloride). This shouldn’t be looked at as ‘good’ or ‘bad’. Eventually TDS will contribute to a ‘salty’ taste, we know from experience that pools running at 3000 ppm ‘salt’ for saltwater chlorination have a slightly saline taste/feel – and a lot of bathers generally prefer the slight salinity. It is likely because the low levels of salt in this case is similar to the salt concentration of our eye fluid. As levels approach 6000 ppm (depending on individual preference) the water starts becoming ‘too salty’ for most people and it’s not uncommon for bathers to start commenting on the taste of the water. For reference, ocean water is about 35,000 ppm. Most pool equipment is rated for a ‘salt’ level of 5000 ppm, because at that point the risk of chemical corrosion starts to become an issue. The over generalization of the term ‘salt water pool’ leads some to believe they need to use higher grade materials (marine grade stainless steel or titanium). There are special considerations for true ‘marine’ or ocean water materials but the average pool running 3000 ppm or less does not carry the same risk of corrosion. Higher conductivity levels can accelerate problems related to galvanic corrosion but that’s a story for another post! There’s no need to drain/dump water purely based off the old adage of keeping TDS ‘under 1500’ or ‘under 1000’ (depending on the source of info). Even though TDS isn’t a factor I put much value in, it would still be something I measure and track on at least a weekly basis. The value being that if you aren’t tracking bathers per day (to assist in setting up your dilution program) then TDS is another way to gauge how much ‘stuff’ has gone into your water. If you normally see TDS increase 100-200ppm per week and then you see it jumps 500 ppm – that’s a good indicator that the pool has been seeing more use and the dilution rate should be increased. If TDS is climbing to an extreme high (I would say 5000 ppm is a good number, consist ant with most equipment manufacturer warranties) then that could be a good sign to implement some more dilution. A good dilution practice in Europe/UK is 30L fresh water per bather per day – if you are able to run with this you are unlikely to see TDS climb much above the initial fill levels (about 500 ppm for most fresh water pools and 3000 ppm for pools running salt water chlorinators). Conductivity based ‘salt’ test meters that salt water chlorinated pools occasionally use have a drawback when it comes to accuracy. 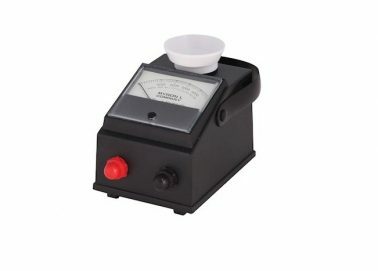 These meters are calibrated initially to a set water condition assuming a constant ratio of usable salt (sodium chloride) to other salts dissolved in the water. The dynamic nature of chemical additions & pool dilution changes this balance over time so at best, the conductivity meter is ‘estimating’ the salt. We recommend a titration based ‘sodium chloride’ kit using chemical reagents to specifically measure the usable salt for this application, this is the only type of salt that can be used to generate chlorine.